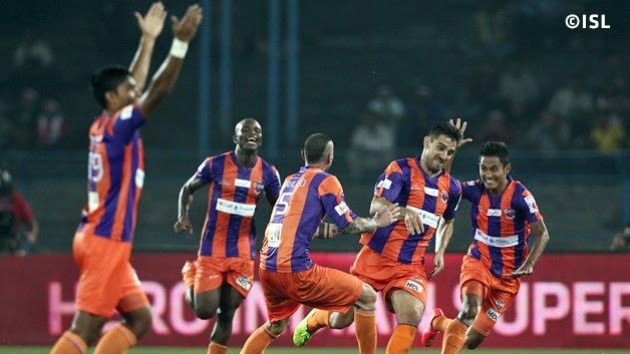 Atlético de Kolkata suffered their first defeat of the Hero Indian Super League as they went down 1-3 to FC Pune City. Nigerian striker Dudu put the visitors ahead on 35 minutes and Kostas Katsouranis doubled the lead soon after half-time. Kolkata managed to pull a late goal back through a Fikru penalty in the 83rd minute but Pune put the game to bed when Davide Colomba smashed in an 89th-minute free kick.